Certas Direct Insurance Company is a subsidiary of Desjardins General Insurance Company. Desjardins was founded by Alphonse Desjardins as a credit union in 1900. Today Desjardins is ranked as the one of the largest financial cooperative group. They operate as the trademark for Certas Direct Insurance that sells home and auto insurance in Alberta and Ontario. Certas was founded in 1993 and is a prominent insurance provider. Certas is one of the 3rd largest insurance providers in Canada and serves over 2 million clients. They have been offering car insurance in Canada since more than 60 years. In the 3rd quarter of 2010, there were no rate filings by Certas. The market share stayed stable at 1.08% for the 1st, 2nd and 3rd quarters of 2010. Certas did not file for rate changes in the 1st, 3rd and 4th quarters of 2011. The market share increased to 3.38% in the 2nd quarter of 2011. Certas did not file for rate changes in the 3rd and 4th quarters of 2012. The market share dropped to 1.69% in the 1st quarter of 2012. There was a small increase in the market share of 2.40% in the 2nd quarter of 2012. They did not file for rate changes in the 1st and 3rd quarters of 2013. The market share stayed stable at 2.63% in the 2nd and 4th quarters of 2013. There were no rate changes filed for 1st and 3rd quarters of 2014. The market share dropped to 2.61% in the 1st quarter of 2014. There was a huge increase in the market share of 9.84% in the 4th quarter of 2014. The market share dropped to 2.61% in the 1st quarter of 2015. This increased considerably and stayed stable at 12.08% in the 2nd and 3rd quarters of 2015. There was a decrease in the market share for the 4th quarter of 2015 to 9.47%. They did not file for rate changes in the 2nd quarter of 2016. The market share increased to 12.08% in the 1st quarter of 2016. It decreased to 2.65% in the 3rd quarter of 2016. Certas did not file for rate changes in the 3rd quarter of 2010. There was no change in rate changes in the 1st and 4th quarters of 2010. They did not file for rate changes in the 1st, 3rd and 4th quarters of 2011. The rate change increased by 15.45% in the 2nd quarter of 2011. They did not file for any rate changes in the 3rd and 4th quarters of 2012. They did not file for rate changes in the 1st and 3rd quarters of 2013. There was a huge decrease of 15.72% in the rate changes approved for the 4th quarter of 2013. Certas did not file for rate change approvals in the 1st and 3rd quarters of 2014. Around 16 insurance companies filed for rate change approvals in the 4th quarter of 2014. They were representing 46.81% of the insurance market. But Certas did not have a rate change for that quarter. There was a marginal decrease in the rate changes approved for the 2nd quarter of 2014 by 1.15%. The rate changes approved marginally decreased by 0.76% in the 1st quarter of 2015. About 39 insurance companies filed for a rate change approval in that quarter. They represented 73.48% of the industry. There was a drop in the rate changes of 1.13% in the 2nd quarter of 2015. The rate change approved marginally increased by 0.27% in the 3rd quarter of 2015. That quarter saw 26 insurance companies filing for rate change approvals. They represented 52.75% of the market. The rate changes approved for Certas in the 4th quarter of 2015 marginally decreased by 1.01%. In that quarter around 21 insurers filed for rate change approvals. They represented 51.23% of the insurance industry. There were no rate change approvals filed for the 2nd quarter of 2016. The 1st quarter of 2016 saw a huge decrease in the rate changes approved by 14.21%. There were 50 insurance companies that filed for rate change approvals for that quarter. That represented about 83.36% of the market. The 3rd quarter of 2016 saw a marginal increase in the rate changes approved for Certas by 0.65%. Around 25 insurance companies filed for rate changes in that quarter. They represented 63.56% of the market. Certas Insurance offers many discounts for car insurance policies based on many factors. Some of them are listed below. Ajusto: This is a mobile application that can be downloaded to your phone and can connect to your car. It can monitor your driving habits and for safe driving, you could get a discount of 25%. Multiline discount: You may insure your car and home with Certas to get up to 15% discount on your auto policy. Multiple Vehicle: Insure more than 1 car with Certas to get this discount. 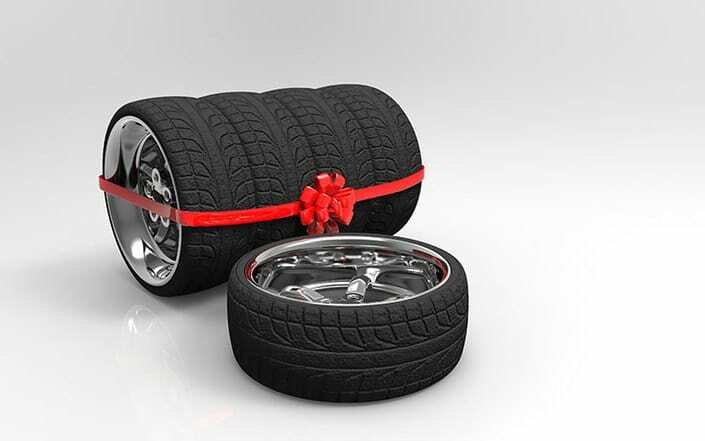 Winter tire savings: If you fit your car with 4 winter tires for safe driving then you may get a discount of 5%. Hybrid vehicle: When you drive a hybrid car then you qualify for a discount too. Loyalty: Continuous insurance history of 3 or more years with the previous insurer may qualify you for a loyalty discount. Theft-deterrent device: When you have anti-theft devices installed in your car that could get you a discount. Private parking: By parking your car in a private garage or driveway you will be eligible for a discount. Student discount: A driver who attends school full-time and less than 25 years can get a discount up to 10%. If the driver has recently graduated from school then this will also qualify for a discount on the premiums. Certas offers the mandatory car insurance coverage in Ontario. You may also purchase some optional coverage for added protection. Collision/ Upset: This coverage may be mandatory if you lease of finance your car. It protects you against damages when your vehicle collides or rolls over. Comprehensive: Get protected against damages to your car not related to a collision. This may be required if you finance or lease your car. Endorsement 44R: You may add this endorsement to your auto policy to bridge the gap if your family protection limit falls short. When there is injury or death there might be a shortfall in the liability coverage provided by the at-fault driver. So endorsement 44R will fill in this gap when the actual damages were more. Accident-Free Protection: Your 1st at-fault accident will not increase your car insurance premiums with this coverage. You may inform Certas customer care about your request to cancel your auto policy. The number to call them is 1888-785-5502. Based on your situation and policy conditions they will issue a refund if applicable. You may file a claim online through the Certas website. There is also an option to call them to report a claim on 1888-785-5502. In case you are calling from another outside North America then you can reach the claims department on (Country code) + 800-463-5666-6. The claims department may also help you with the fax number of your claims adjuster to send any relevant documents. To get a quote for your car insurance you may call Certas on 1877-699-9923 on weekdays between 8 am – 8 pm, Saturdays 8 am- 4 pm. By Email: You could request a quote by using the online form on the Certas Website. Call: You can call 1877-699-9923 or 1800-794-0008 to reach Certas Insurance customer care. If you need to speak to an agent about your policy billing then you may call 1800-794-0008. Mail: The mailing address to write to Certas Insurance is P.O. Box 7065, Station A, Mississauga ON L5A 4K7. Email: If you have any general queries then you can also send an email to Certas using the online form website. Online account: The online account tool helps you to login to your account. For technical support with your online account, you may contact 1866-710-4760. We surveyed Certas car insurance Quotes in select Canadian cities for the purpose of illustrating the average quotes for a male driver aged 35 years in city downtown with owned Honda Civic 2012 model car. Please note that car insurance prices depend on many factors including your age, location, driving history and more. So, to get a customized quote, please visit Certas car insurance quotation page. We are not affiliated and make no representations or warranties, recommendations or endorsements of Certas Insurance. This article is our review of Certas Insurance for information purposes only. The logos, trademarks, and copyrights mentioned in this article belong to the Certas Insurance.